Corliss Veronica (Mosley)Woodlee was born in New Castle, Pennsylvania, on September 1, 1927, and died September 4, 2015. Corliss was preceded by her husband, Merle Donald Woodlee, her sisters Beattle Allen and Margaret Cox. Survived by her children, Arlon, Donald, David, Charles, Michael, Brian, Mary, Roger, Karen, 17 Grandchildren, 13 great grandchildren, her brother, Thaddeus G. Mosley, Jr.; and sister Orvetta L. Ward. 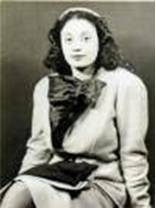 Corliss was a vivacious young girl who won the heart of her young soldier from Nebraska when she worked at the USO during WWII. After his discharge in 1946, they married and moved to his hometown of Alliance, Nebraska. Too much of a city girl, they soon relocated to Denver, Colorado, where Merle obtained work with the Post Office. Here they would live and rear their family. 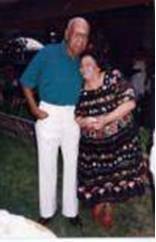 Corliss and Merle were married 66 years when he passed on July 12, 2011. As a young wife, Corliss mastered the art of cooking. She combined that talent with her love of people and entertaining. With this and her drive for perfection, she cultivated a catering business that would entertain many celebrities in the Denver area from far and wide. Soon she would host hundreds at her legendary jazz celebrations each year that featured local Denver musicians. Corliss made the decision early in her life to be a wife and stay at home mother. An active grandmother and great-grandmother, she loved young people. Her door was always open for neighborhood children. The Woodlee dinner table often included these children. Her love of people carried over to her Ladies Group of Bunco Players which she enjoyed arranging monthly. Many lifelong friendships were cultivated from this group. She was a true social butterfly and was in her glory was she could cook or host an event. She was the epitome of organization. She was always organized and never late. Her favorite phrase was if youre 5 minutes early, youre 10 minutes late. Our father, Merle, referred to her as Commander C, but on the softer side, he would smile and call her My Veronica. Traveling was part of Corliss DNA and she was the family GPS before it was popular. Corliss would often study maps like others would read novels. Even in her twilight years, you could rely on her to tell you how to drive anywhere in the United States, what to see, where to stay and where to dine! Corliss Veronica (Mosley) Woodlee was loved and respected by all who knew her and will be greatly missed. Her passing has created a chasm in her familys hearts that no one else can fill.